All 01xxx numbers are UK - if telephoning or faxing from outside the UK remove the leading 0 and insert +44 so 01xxx becomes +44 1xxx. 0034 numbers are Spain. From outside UK these will be +34. LAST MINUTE BOOKINGS IN AUGUST: Please note - most places are booked for August at least 6 months in advance. You may be lucky and get a cancellation - but please EMAIL where indicated and DO NOT TELEPHONE PEOPLE IN JULY AND AUGUST. However, you might try the email links below, and also try new entries here in Mallorca, the Costa Blanca, Costa Brava, Northern Spain and the South of France. which have not yet been entered on this file. Holiday villas and apartments in Spain for vacations with well illustrated webpages. If you want Golf and a good beach in Majorca then ANDRATX may be of interest to you. andratxmallorca@contact.latroba.co.uk from here. Please also give a telephone number if possible This place is superb and one of the most sought after in Mallorca and an apartment here costs between 300 and 600 pounds per week. Here's an apartment on the beach at Pollensa - one of the most prestigious and sought after addresses on the island and the property is a good investment. 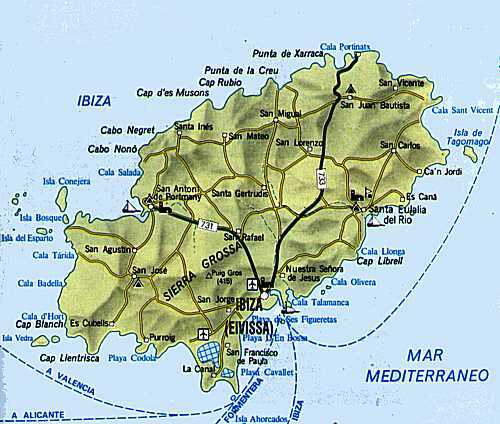 More Majorca places follow . 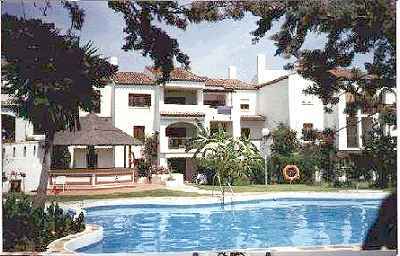 . .
MENORCA SON PARC - Good two bedoom appartment with pool and sea view - Click here for details or email menorca@contact.latroba.co.uk for further details NEW ENTRY FOR 2002 - CURRENTLY GOOD AVAILAILABILITY FOR 2002 Also there's a very good guide to Minorca beaches here. MENORCA. - Stunning villa, superb apartment. - For all details: Tel./Fax. 01409 241492. MENORCA. - Beautiful detached villa with private pool and sea views in quiet location. -Brochure: Tel. 0181-5040912. MALLORCA, PORTALS NOUS. 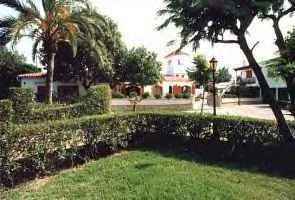 - Beautiful apartments, sleeps 6-7. Sea view, satellite TV, private garden, pool, sandy beach. - Tel. 0181-462 7737 (day), 0181-657 3001 (eve). CALA DOR, FLOWERS HOTEL & Apartment, superb situation from £140 p.w. -Tel.Fax. 003471 657831. MENORCA - CALALLONGA. 4 Bedrooms, 2 bathrooms, pool, harbour view. - Tel. 0181-6758070. MALLORCA. Traditional comfortable holiday villa with private pool, set in delightful, peaceful countryside. - Tel. 0181-445 7731. MENORCA, ESCASTELL. - Beautiful one 4 bedroom and 2 bedroom house. Harbour views. - Tel 0181-743 0649; 0171-482 2925. MENORCA, CALA LLONGA. - Superb, south facing waterside villa with AC & CH, satelliteTVand all amenities. 3 double beds, 3 bats could sleep 10, large terrace with BBQ & own pool overlooking Mahon harbour. -Tel. 0171-4056094 Fax. 0171-831 3678. 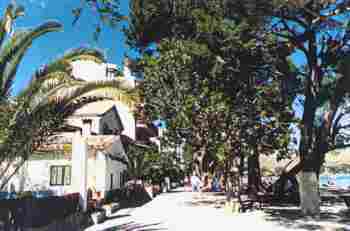 PUERTO SOLLER. 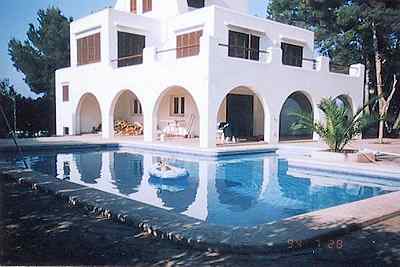 Menorca - Spacious comfortable farmhouse. Sleeps 8.50 yards beach, garden, heating. - Tel. 01483 747428. CALA DOR, MALLORCA. - Luxury private villa/pool. 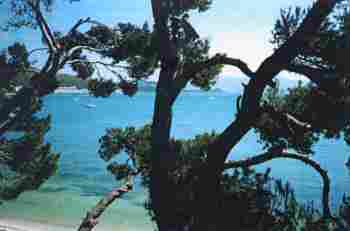 Exclusive area, overlooking sea. Breathtaking views. Sleeps 6/8. - Brochure: Tel. 0161-476 2680. 0370 808885. Here's a place in Madeira and you can email the owner from here. LANZAROTE FOR ALL SEASONS. - Puerto del Carmen, comfortable apartments, well equipped, nicely situated. - Tel. 0171-589 1230 or 01634 0897. 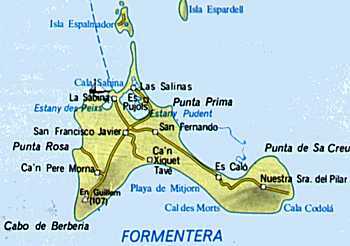 LAS PALMAS. - Beach penthouse, huge sunny terrace. Quiet, convenient, comfortable. - Tel. 01794 340787. COSTA BRAVA: Two bed house in idyllic hillside location. Sea three miles. Sports/leisure club & golf nearby. Barcelona one hour. Calonge Email the owner robinson@contact.latroba.co.uk OR tel: +44 1522 778994. THIS IS NEW ON FILE FOR SUMMER 2002 SO AVAILABILITY IS CURRENTLY GOOD!